Paula O’Sullivan: What I personally love about Abbie’s approach is that it’s very much about getting it done. She is with us to talk about how to use social media to improve sales in your business. Welcome Abbie. Abbie White: Thank you. Thanks for having me. Paula O’Sullivan: You’re very welcome. Tell us a bit about you. Who are you? What do you do and how do you help? Abbie White: Thank you, I mainly focus on helping small to medium businesses. It’s all around showing them how they can authentically increase their sales. It’s really, as you were saying, about getting stuff done, getting results and looking at what works in the real world. Abbie White: For me, there are two factors that I focus on in that. The first is around being authentic. None of us went into business because we wanted to be a great salesperson. I don’t think that was many people’s dreams and desires when they were a kid. It’s showing people that you can be true to yourself, you can be true to your brand, you can be authentic while still increasing your sales and getting rid of the outdated cliché tactics that no one likes in this day and age. Abbie White: The other factor you just talked about is around making it highly practical, highly actual, getting stuff done and just really getting some results. That’s sort of my focus area when I’m helping businesses. Paula O’Sullivan: Nice! So really it’s around breaking down those stereotypes about the used car salesman and really getting people to kind of tap into who they are personally, who their brand is and trying to express that to the people that they’re going to be able to help most. Would you say that that’s worth while looking at? Abbie White: Yeah, absolutely. That’s one of the number one factors for me. I’ll actually sort of answer that with a really quick story. I actually helped someone the other week and they were starting a membership. They had zero sales. I talked to them about what results do you get for your clients? What are the outcomes? She was telling me how people are able to change their lives, how they’ve lost lots of weight, how they can play with their kids, they’ve gotten rid of health issues all these different amazing results. I said okay, you’re denying people the opportunity, if you are not giving them the chance to join your membership program. Abbie White: You’re getting great results for people, you’re helping people, you’re providing value. You’re not ripping them off like a used car salesman, therefore you need to offer them that opportunity, in your words in your style and talk about the results that you get. Long story short, she started doing that, and she sold out her membership within two weeks. Abbie White: Nothing changed in her sales strategy. Nothing changed in her marketing. She didn’t suddenly invest a lot of money in it, it was purely shifting her mindset towards what she perceived sales to be and doing it in her own style that she felt comfortable. When we try and sound like someone else or we try to use the latest buzzwords, we all feel uncomfortable and that just comes across. Yeah, it’s about finding your voice and your style. Paula O’Sullivan: So, already we have a huge takeaway and that is sales is not a dirty word. Paula O’Sullivan: Sales actually brings you money in the door and really allows you to help more people. You need to sell more to be able to help more people. Now let’s have a look at how social media plays a role in this. You’re a sales expert and you know how to help people increase their sales. What role do you think social media and social media channels play in helping people do that? Abbie White: I think social media is absolutely critical. It is a critical piece of the jigsaw to sales strategy. There’s been so many countless studies now that actually prove this. Where I personally see it go wrong is when people think it’s the only strategy. When people are only trying to increase their sales as far as one social media channel, and that is it. I look at people like Gary V., who I’m sure lots of us know and love if you’re a fan of social media and you look at what Gary does. Whilst he is very prevalent on social media, he also is doing speaking gigs most days of the week. He’s doing so many other things offline as well. He’s blending both his social media strategy and other sales strategies to get the incredible results. That’s some of the key takeaway for me. I think that I’ve personally had success using social media. Abbie White: I’ve got a group myself as you do and I’m starting to see some great referrals coming from groups. I’ve had business from referrals from groups. I think that’s quite an interesting place right now. I absolutely think that social media is critical to your sales strategy, but it’s incorporating it with where do your target market hang out and therefore what’s the right channel. Also, making sure you incorporate it with also sales activities too. 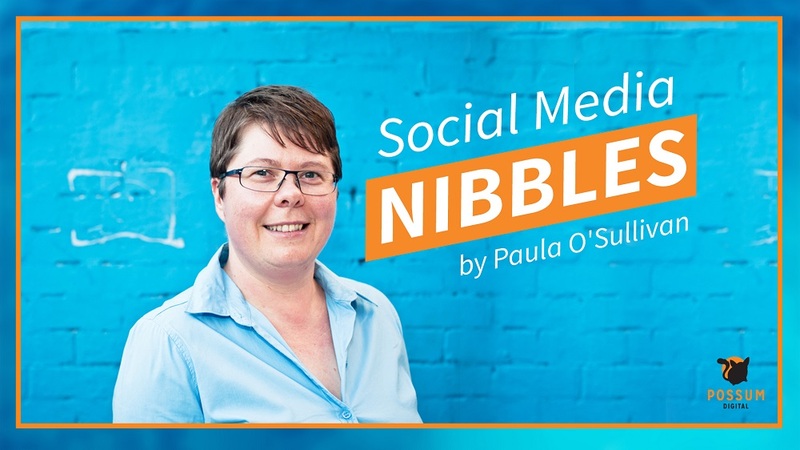 Paula O’Sullivan: If we’re looking tactically at how social media can augment your sales strategy, would you be looking at things like the use of testimonials and reviews or groups that you just mentioned or prospecting, advertising? Can you talk about a couple of those tactics and how you think they would support generating more sales? Abbie White: For me again, it’s about blending. I think if, on my social media for example, every single day I had a promotion for you, you would very quickly unfriend me, unfollow me, whatever the case may be. Abbie White: We would no longer be friends. For me, it’s really about blending those different factors. Social proof and credibility is enormous, whether it’s on your website, whether is on your social media. Everyone these days claims to be an expert so having that social proof, whether is a testimonial or a video of someone talking about the actual results that you got and you achieved with them, is absolute key. I think that’s really important. Abbie White: I think likewise providing value. When I’m looking at what I put on social media, I think is this gonna be of interest to the audience? Is it going to be of value and then I blend it. Every now and again, I will make an offer if I’ve got a promotion going on or if I’m launching, for example, an online course soon I’ll talk about that. Paula O’Sullivan: Yeah absolutely. I guess looking at what you’ve just been talking about there, I think it beautifully illustrates the integration between marketing and sales. It’s almost the know me and like me factor going into the trust me factor which is the sales component. Paula O’Sullivan: For people out there who do a lot of that marketing, they’re writing blogs, they’re producing content, they’re doing all those wonderful things so they’ve got the marketing piece down packed yet, they’re still not making sales. What are some of the things that you can recommend? A couple of tactics or maybe mindset shift activity that you can recommend to help other people along? Abbie White: One of the best mindset shift ones that I like is think of your favourite client testimonial, or client journey. Think about whatever that story is, type it up, print it out and put it all over your wall, your screen, wherever. Every time you feel yourself thinking ooh, I don’t want to make that follow up call or I don’t want to contact that person, or I’m not sure and feeling yourself shying away from sales, reframe it and look at how you help people, the outcomes you achieved, the results you get. Look at that testimonial or example and think, if only I can achieve that outcome, for this person and for more people. That’s one of the ones that I love. It just really helps you shift around your great intentions to provide value and help people as opposed to selling them something. Paula O’Sullivan: Exactly. So really what you are talking about is a mindset of service first. How is it that I can help you with the view to potentially solving a problem rather than selling them a product. Would you say that’s a fair assessment? Abbie White: Absolutely. Say 70 percent of people buy to solve a problem. It doesn’t have to be world peace. Whether we’re helping them to make more money in their business, or to go to the gym and lose weight. Whatever it is, we’re solving a problem. You’re going to get the best results by looking at how do you help people solve that problem. How do you help them solve it differently to anybody else, and then the outcomes and the results that you get. Abbie White: I focus so much on outcomes and results deliberately, because as I said before, everyone claims to be an expert in this day and age, so we have to show how we are different. We buy emotionally not logically, so it’s not about it’s going to be three hours of personal training, it’s not about the fact that I’m going to do 10 burpees, it’s about the fact that if I do this program, I’m going to get the results that I want and my beach body quicker than if I was to use an alternative. That’s what it’s about. It’s about the outcome. We don’t necessarily care how we get the outcome, we just want the confidence that if we invest in this product or service, we will achieve that result. Paula O’Sullivan: Yeah absolutely. Really it’s ‘let’s talk about the benefits rather than the features’. Abbie White: Yeah the features are an element in terms of logic. We need to understand okay, well how many hours a week is that personal training, using my example I’ve seemed to have stuck with, and how much is it going to cost me and so on. We do need to understand that. What people tend to do is only provide the features. It’s just pure feature, feature, feature and there’s none of the emotional factors into it. As I said, we buy emotionally. We want to feel great, we want to feel younger or whatever it is that’s the outcome that we want and it’s around that confidence that we’re going to achieve it. Abbie White: If we don’t touch on those emotional factors, for example, in our sales messages, in our language, then we’re not going to get the sales conversion that we want. That is, going back to your previous question around what could be missing with the people, that’s often what’s missing. If you look at your marketing materials, your website your social media, whatever it may be and all you see is features, features, features, and there’s nothing about that emotional piece, then that’s what’s missing. Paula O’Sullivan: Okay. What would your recommendation be for how people could use testimonials or case studies on social media or other channels to help with their sales? Abbie White: That’s a great one. I love testimonials and case studies. I believe we need to blend it with other content as we were talking about. Whether that is a written testimonial, that could be a post and a little bit of a story. Everyone likes to hear somebody else’s story. That’s great. A video, as we all know, is hugely popular and has massive amount of credibility if we see someone talking through their journey. Likewise, we all go and read Facebook reviews, Google reviews, whatever it might be, we all read them. Getting people to do those sorts of reviews also helps. Abbie White: I also think it breaks down the barriers and it provides inspiration. I’ll give you an example. My brother has got a running coaching business. He posted recently on social media about one of his clients who had done something crazy like 30 flights in the time he was training for a marathon and visited all these different countries and so on. Normally, we all come up with the excuse of well I can’t train for the marathon because I’m too busy at work and I’ve got a lot of travel and I won’t be able to fit it in, all those things that we all come up with as barriers. Abbie White: By providing that testimonial, that case study, that story, it was able to give people inspiration of actually how you could fit in your running around your job, your travel, and the other things. It works on many different levels, but I think the biggest thing is we all want that credibility factor of knowing we’re not going to be your first guinea pig. You’ve done this before. This is the results you got and therefore I feel confident, coming back to the emotional factor, that it’s not a risk to work with you or to buy with you because I’m going to get that result that I’m looking for. Paula O’Sullivan: Fantastic. In your work with your clients and in your sales expertise experience, are there particular channels that work better than others in supporting sales? Abbie White: I get this question quite a bit. For me, it’s about starting with where do your target market hang out and then looking from there. If I was selling to a younger generation, I would probably be on SnapChat. If I’m talking to corporates, I’ll focus on LinkedIn. For small business owners, personally I find Facebook is fantastic. It all depends on where your target market hang out and again on your product and service. If you’ve got a very visual product, being on Instagram is going to be awesome. For other businesses, not so much. Abbie White: That’s where I think you’ve got to look at the most appropriate strategy depending on your target market and your offering. I again think this comes back to one of my favourite quotes, “I can show you 100 ways to get one sale, but I can’t show you one way to get 100 sales.” What I love about that is that there is no silver bullet. There is no one size fits all. I think today, there is too much hype for me personally on Facebook in the likes that we can all turn on a Facebook ad, sit back and have a cocktail and we’ll be millionaires by next week. Paula O’Sullivan: Fantastic. We’ve talked a lot so far about what to do. Good things, good tactics, good behaviour. Is there any bad behaviour or things that people should just not do if they want to make sure that they don’t impact their sales? Abbie White: That’s a great question. How long have we got? The first one obviously we’ve talked about is mindset, making sure that we adjust that. If you say I’m not a salesperson, you never will be. It’s getting rid of that limiting belief and kicking that out the door. Abbie White: The second one, which I think this is where you and I have a shared love, is around getting stuff done. We can all come up with a great sales strategy. We can all save the planet, we can do all of that but it’s about actually executing and taking action. For me, it’s about testing things, trying them out, putting it into action and giving it a go. If we don’t make time for sales, one of the bad habits is I don’t have time, we’re never going to get more time. It’s about how we prioritise our time. Abbie White: To me, sales is the lifeline of all of our businesses. It’s that simple. No sales, no business. That’s the harsh reality. For me, it’s actually going okay if that’s the lifeline of my business, I need to prioritise time for sales. One of the best techniques I’ve seen for that is around time blocking. Every single day or whether it’s three times a week, something like that to go, I’m going to purely dedicate this time to sales activities. Whether that’s following up on all the quotes that I’ve put out there, whether it’s looking at who I need to provide proposals to, whether it’s doing proactive sales activities, whatever that might be in your world, It’s dedicating that time where no, this is only for sales activities. Abbie White: It’s just about walking the talk and putting it into action. Paula O’Sullivan: Awesome. Speaking of action, which is something both you and I absolutely love, just getting things done, What are your top three tips for taking action right now. Someone is listening to this podcast. They’re trying to take action. When they stop listening to this podcast, what are three things that they can do right now? Abbie White: Immediately, kicking in the mindset piece like we’ve talked about. Go and print up your favourite testimonial and stick it all over your desk. Stick it all over your wall. Have it in multiple places. Have it as your screensaver, I don’t care. Have it in multiple places and that is the result you achieve for people. If you therefore do not take proactive activity and action on sales, you won’t be achieving that outcome for more people. You won’t be growing your business and getting the results that you really want. Number one is nip in the bud the mindset piece by really addressing any fear factors that you may there in mindset issues. Abbie White: The second part of that mindset would be around clarity of where you are going. I struggled to get strong results with people when they can’t be clear of where we are driving the bus. What’s the direction. That doesn’t have to be 10 years, it doesn’t have to be five years, even just 12 months. Where is it that we want to be in 12 months. That clarity really then brings strong execution and action behind it. Number one is around mindset activities of clarity on where you are going and clarity on the outcomes you provide for people. Abbie White: The second one is strong execution like we’ve talked about. Go and get your diary out right now and time block one hour a day. Morning tends to be better because we don’t get side tracked with the latest drama of the day that comes up. Time block one hour a day to just purely work on sales activities. You will be amazed at the momentum that that then builds. With momentum comes confidence. Within one week you would have spent five hours proactively on your sales. How awesome is that? Already you will start to see momentum building, opportunities building, things bubbling and then you just get a great confidence which comes that and that then comes across to your clients. Abbie White: The third thing is don’t give up too soon. What I typically hear from people is I tried that and it’s not working. Statistically, only three percent of our target market are ready to buy right this second. Therefore, we have to nurture our clients. Social media obviously as you know is a great way to nurture, keep in touch and engage with our audience and our prospects. Abbie White: It’s about not giving up too soon and saying it’s not working. Maybe it just needs tweaking. If you follow Russell Brunson, who I love and founder of ClickFunnels, he talks about the fact that he had to do over 100 interactions of is webinar before it went nuts and become a multimillion dollar revenue stream for his business. I saw the singer Sam Smith interviewed recently. He talked about the fact that he would write 10 songs, but out of the 10 he would only get one great one. Abbie White: We’re all expecting to do something and it just works perfectly. When it doesn’t, we often then go, it’s not working and we give up too soon. It’s about tweaking, tweaking, tweaking. I had an E-Book that I used as a lead magnet. The first time I did one I got zero downloads. Very heartbreaking. I went and looked back at what were the questions I was being asked most often, what did my audience really want to know about, how can I really provide value? I tweaked it, changed the title, changed the topic of it and relaunched it and I got 114 downloads in 24 hours. It’s awesome. If I had just said E-Books don’t work, then I would have missed that whole entire opportunity. Abbie White: To my final point on this, statically 80 percent of sales take five follow ups or more. If we just go they’re not interested and give up, we are missing the most enormous amount of opportunity so continue to follow up. Follow up respectfully and don’t give up. It’s address mindset, focus on strong execution and time block and don’t give up too soon. Keep trying, keep tweaking, keep following up. Paula O’Sullivan: Wow, that is amazing. Thank you so much for your time today Abbie. There is some absolute gems in what you’ve just told us today. Thank you for giving your time so freely. Hopefully everyone listening gets lots and lots of inspiration from this because I can tell you I’ve certainly got some out of this as well. Now where can our listeners find out more about you? Paula O’Sullivan: Fantastic, and to our listeners, thank you so much for listening. If you liked what you heard in this podcast, please subscribe and share it with your friends. Make sure to visit our website, possumdigital.com.au, where you can listen to more podcasts and also read some of our latest blogs and even watch some videos. Thank you so much and we’ll catch you in the next episode.